Halloween is one of my absolute favorite times of the year, besides Christmas, it’s my favorite holiday. So every year we love to go all out. Since my kiddos love crafts we like to do lots of Halloween themed crafts throughout the month of October. Sometimes crafts can get expensive though, especially if you are doing a lot of them. Or with a large group, I also volunteer with my daughter’s Girl Scout troop so do a Halloween craft with a group of 20-25 little girls can add up quickly. My favorite place to shop all things Halloween is Dollar Tree. Did you know you can order everything they have in their store online at dollartree.com? They will ship right to your door, no need to even leave your house. Best part everything is only $1! Now we can have our Halloween craft days without breaking the bank! Here are five really fun crafts that you can make with items from DollarTree.com. Find a picture frame with a pretty nice edge on it. Apply super glue to a small area and attach googly eyes. Continue this process until your frame is covered. Use the glue to attach an secure gauze around the outside of a glass candle holder. Once covered add googly eyes to bring it to life. Now add a tea light to the inside to make them extra spooky. Cut out the middle of the foam board, leaving a 5″ border around the edges to create the frame. Reserve middle of foam board for other awesome craft projects! Take first roll of deco mesh and unroll 2″. Staple the middle of the unrolled mesh to one corner of the frame. Holding the roll, unroll another 5″ of mesh, then (creating an arch) staple that to the frame approximately 2″ from your last staple (so about 3″ are up in an arch sticking out from the frame). Still holding the roll, unroll another 5″ of mesh, turn the roll 180°, then (creating a “turned arch”) staple that to the frame approximately 2″ from your last staple (so about 3″ are in the turned arch sticking out from the frame — this is what creates the deco mesh bubble effect). Alternate arches and turned arches around the frame, using two full rolls of deco mesh. Secure googly eyes and spiders, or any other creepy thing you want, using hot glue. Secure frame to a stand, or have guests hold the frame while they take pictures. Best part about this project is that there really is no rules. Just set out the materials and let the imagination go wild! 1. Cut all chenille stems in half. wreath leaving 3″ ends of stems open to grab the mesh with. a chenille stem around the loop twice. and alternating which chenille stems you use to secure the mesh. 8. Add spiders to wreath, securing with chenille stems. bushes. Stick stems throughout willow wreath at different intervals. 10. Hang wreath and enjoy! cloth (do not put in the dishwasher). 2. Paint the 3 glass candleholders and set aside to dry. candleholder, bowl). Let everything dry overnight. candy for an extra sweet treat! I love shopping Dollar Tree. They have so many cute things and at a price I can afford. So good to see others postings of fun things to make. I’m not as creative as I used to be so I am thankful for any ideas. WOW this is awesome! I didnt think you could make such awesome Halloween Decor this cheap! 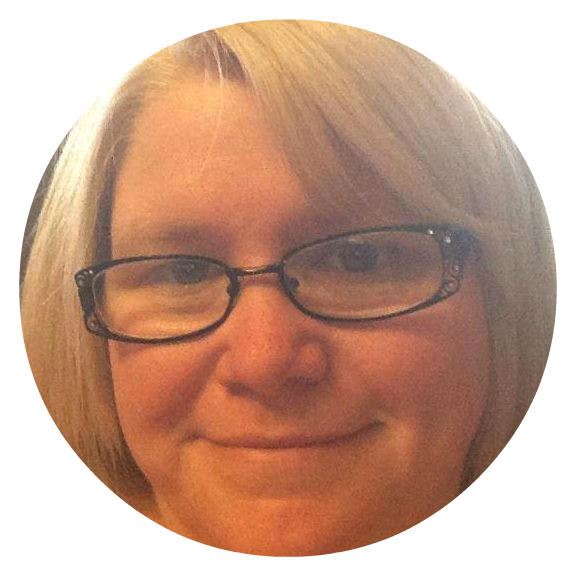 I am so hitting the local Dollar Tree as I want to make that wreath that is amazing thank you for sharing this great post. I love the dollar tree, thanks for such great ideas! Love the picture frame with the googly eyes. So cute! I love going to Dollar Tree. They always have such cool stuff. Thank you for the ideas. Every year for our Halloween party I like creating new favors and decorations. I do shop at the Dollar Tree and with their prices, I could make a lot of decorations. Oh these are some awesome crafts. What a great way to get the kids involved too! Love these crafts! Definitely got me in the mood for Halloween! Thanks! These are all cute ideas. I love going to Dollar Tree! Dollar Tree is reeally a whole lot of fun. I like how you can really make something out of next to nothing. In our stores the stock is always changing. I could spend hours in there. I love all these ideas but really love those picture frames, they came out so awesome! looking. I love all these crafts, especially the Cupcake Stand! I love shopping at Dollar Tree! 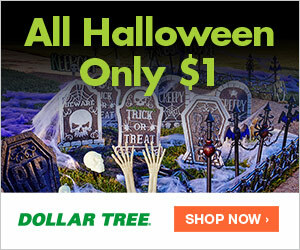 I love Shopping at the Dollar Tree and I like the Halloween deals you can get at this store. I will have to go back and get some of their cool Halloween stuff. So cheap! I love Dollar Tree. These are some great ideas on how to do a Halloween party cheap! Thank you for sharing. That picture frame idea is awesome. So creative! these are nice. I love dollar tree, i can spend hours there. great ideas for me and my family.